Clients access project-related materials through a custom, secure extranet. 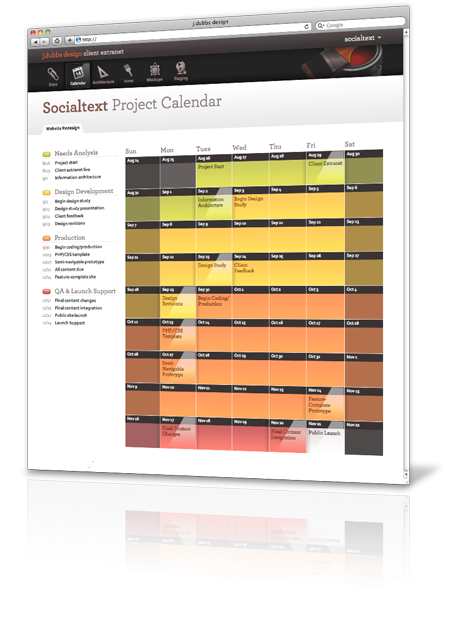 Each client's extranet includes online copies of project documentation, findings and recommendations, and the project's scope, work plan, and implementation calendar. Design deliverables, including a visual sitemap of the project's information architecture, design mockups, and iconography, are added as they are completed. Finally, the extranet provides a staging area for the website or web application once coding begins. Enter the username and password previously assigned to you.